23 cm xvii, 203p. : ill.
Catherine Belsey is editor of "Feminist Reader" and general editor of "Readers in Cultural Criticism". This account of Shakespeare's plays, in conjunction with early modern images of Adam and Eve, locates the construction of family values in cultural history and politics. 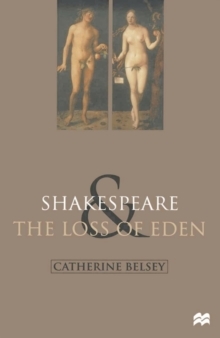 The author seeks to show the pleasures and anxieties generated in the period by the domestication of desire, parental love and cruelty and the relations between siblings and discusses how Shakespeare's plays explore these themes.